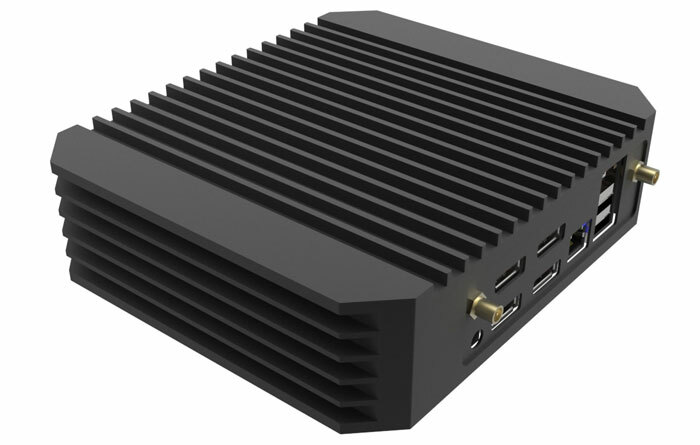 Manchester-based Tranquil PC has released a trio of fanless AMD Ryzen powered mini PCs. The compact black aluminium ridged designs leverage the AMD Ryzen Embedded V1000 Series CPUs and differ only in the choice of CPU model, the amount of pre-installed RAM, and the storage configurations. 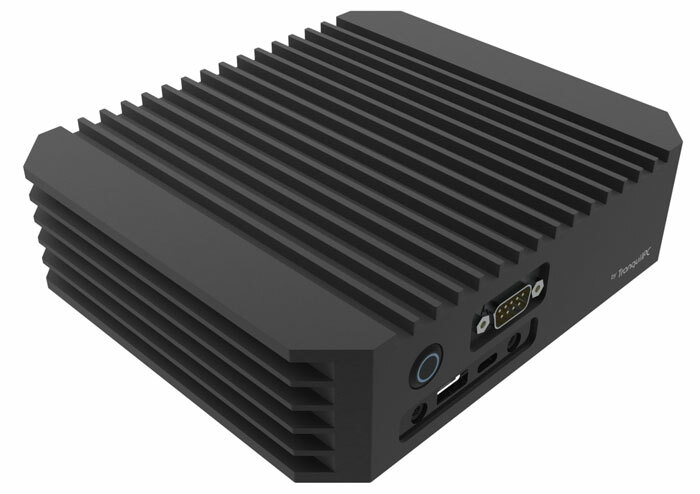 As reported by FanlessTech, Tranquil PC hit the headlines five years back by creating the first commercially available fanless Intel NUC cases. The new Tranquil PC compact fanless PC with AMD Ryzen processors are sold as the Mini Multi Display PCs range. They have a lot in common, and basically look the same as each other. Whichever model you choose you will benefits from a completely fanless chassis optimized for efficient cooling and durability and designed "to withstand industrial environmental hazards". The ruggedness assertions are backed up by IP50 level protection and will operate in environments between 0°C to 40°C. The lack of moving parts (SSD models) means that the system is both maintenance free and should be able to withstand knocks and bumps. Tranquil PC sees these systems, with four 4k display port connectors, leveraged in high resolution embedded applications such as electronic gaming machines, medical imaging, interactive digital signage, thin clients, POS terminals and more. Below are the three SKUs with their various specs outlined. 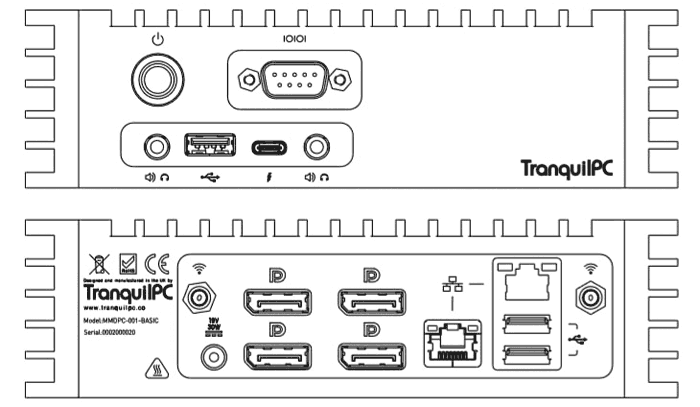 As well as the four 4k display ports, the following ports are common throughout the range; dual Gigabit LAN, USB3.1 Type C, 3x USB 2.0, Line out/Mic in, RS232/422/485. There is a dual Wi-Fi/Bluetooth antenna too. The systems measure 54 x 180 x 157mm and weigh approx 1.8Kg and come with a VESA mount kit. A DC power brick is supplied and power consumption of the systems is between 12-25W. Users can choose either Windows 10 or Linux as their OS (not included). Pricing of the Tranquil PC Mini Multi display PCs - Basic, Advance and Advance+ is £684, £789, and £1163 respectively. You can pre-order any of these models now, with availability estimated for 30th August.